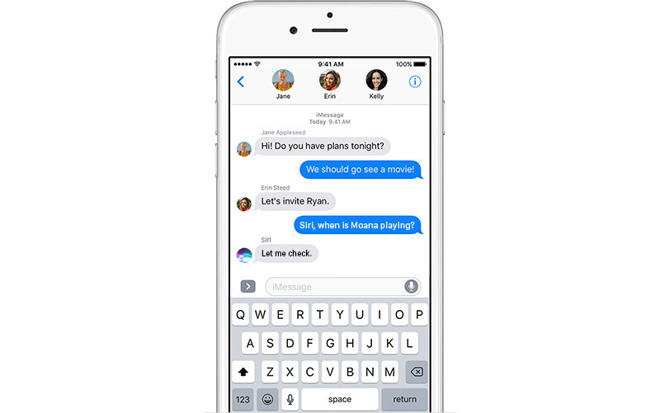 Other examples show Siri pulling data directly from an ongoing chat session. 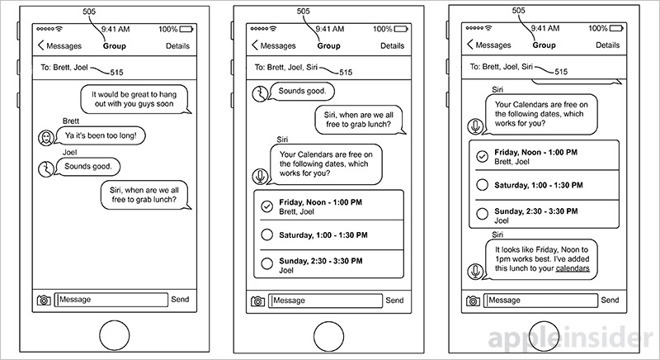 In one case, Siri is asked to schedule dinner for participants in an iMessage conversation. The assistant —with permission from chat members —accesses location data from each member and offers a selection of nearby restaurants as an in-chat poll. Participants then vote for a preferred time and place, and Siri schedules the reservation, adding the appointment to their respective calendars. In-app access to virtual assistant software is not a new idea —companies like Slack have been doing it for some time. 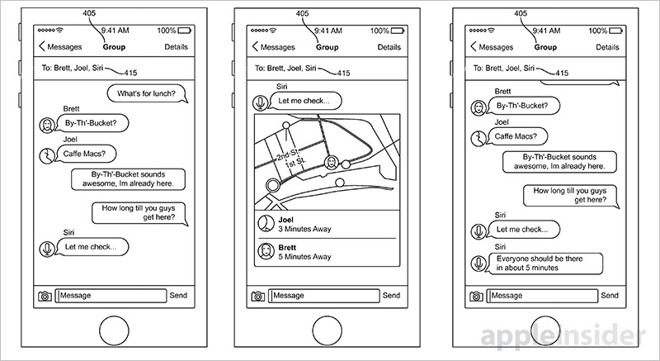 Apple arguably popularized AI assistants with Siri, but the company's ongoing quest for data privacy precluded most third-party apps from integrating services, thereby limiting its utility. It was only with the launch of iOS 10 in September that developers were granted access to Siri APIs.